Why is Capitola’s Jewel Box one of Santa Cruz County’s most desired neighborhoods? We are going to give you our top five reasons in our first edition of our new monthly blog featuring neighborhoods in the 831. Capitola and the Jewel Box are a natural place to start as the Real Estate Eight Three One office is nestled right in the middle of it all, making us uniquely qualified to list, rent, and manage in the area. 1. Whether you want to walk, bike, or hop in the car for a short drive, shopping and entertainment are just a few blocks away! 41st Avenue is a hub of major retail and locally owned businesses in Santa Cruz County. New Leaf Community Markets, Capitola Theatres and the Capitola Mall are all right in the neighborhood. 2. More Vitamin D! This neighborhood is one of the first places the coastal fog breaks up and lets the Santa Cruz sunshine through while still being a stone’s throw from the beach. 3. Shadowbrook Restaurant is within walking distance! You don’t need to wait for a wedding to visit the Shadowbrook Restaurant. Take a ride on the famous gondola to enjoy the lounge for a cocktail or dinner any time of the year. 4. 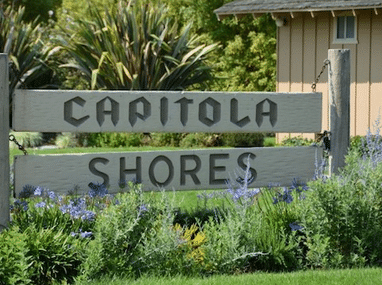 World famous Capitola Village is walking distance away! There is a beach, dining and boutique shopping. Not to mention the famous Begonia Festival, Capitola Art & Wine Festival, Wharf to Wharf race and other fun annual events. The Village is also home to the Capitola Museum which is full of great information and artifacts from the history of this iconic Santa Cruz area town. In fact, did you know that there was once an airport in Capitola?! 5. Playtime! The Jewel Box also puts you in right near one of Santa Cruz County’s best known parks: Jade Street Park. Tennis Courts, Softball Field, Soccer Field and Community Classes. Looking to live in the Jewel Box? 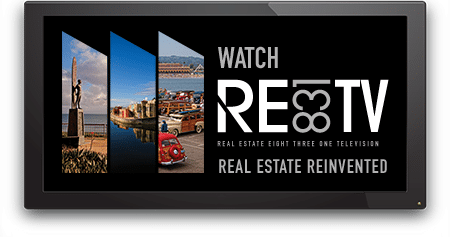 Real Estate Eight Three One currently has condo available to rent in Capitola Shores. Click here to learn more about renting in this great neighborhood!